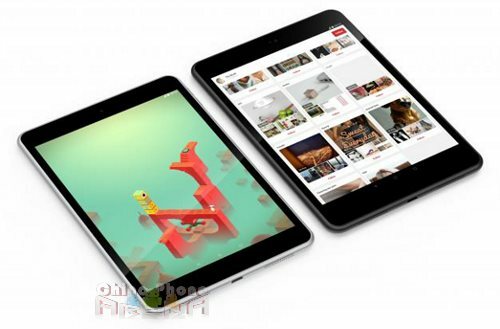 Nokia is pushing forward, and is set to release their very own Nokia N1 tablet. The N1 will have an Intel Atom Z3580 SoC, with four processor cores clocked at 2.3GHz and a PowerVR G6430 GPU clocked at 533MHz. It will have 2GB of RAM and has been loaded with a healthy 32GB of ROM storage, to make up for lack of SD card support. It will feature a 7.9 inch screen with 2047p x 1536p display resolution, 8-MP rear camera, and 5-MP front facing camera. The tablet will be powered with a 5300mAH battery, whose form factor is thin enough to fit in the 7.5mm-thin body of the N1. The Nokia N1 is announced to run Android 5.0 out of the box, with their Z-launcher. Furthermore, the N1 will be coming with a reversible micro USB connector, which is capable of up to 10Gbps data transfer speed. The N1 is perceived as an attempt at competing directly with the Xiaomi Mi Pad, because of the striking similarities of their key specs. Offering the tablet at $250 along with Nokia’s unwavering reputation for their build quality, gives Xiaomi enough reason to worry a little. Previous Post2014 Smartwatch ReviewNext PostElephone P7000: A Lollipop Phone?